Sometimes, getting over pain and betrayal means Getting Up, Getting Even and Getting a Better Man! Astrid has planned out her perfect wedding. That is before she found out that her fiance, Bryan, is cheating on her with her cousin-slash-best-friend-slash-maid-of-honor, Geena. Worse, Bryan got Geena pregnant! And just when Astrid thought it couldn't get any worse, she received a wedding invitation telling her that her Fairy Tale wedding will happen exactly the way that she wanted it. Except that she is no longer going to be the bride! So when her parents urged her to attend the wedding "as family", she planned on the perfect revenge! She will put on a show for everyone to see. She'll show them she is better now. And she is in love with a better man. She's willing to pay a guy to pretend to be rich, successful and totally into her--even for just one night. Then she met Ryder. Totally smoking hot and quite a charmer. He makes a living as a bartender and Astrid thought he was the perfect man for the job. At the wedding, everybody thought Astrid was really with a smoking hot guy who wears Armani suits on a daily basis, drives a luxurious McLaren, and is totally in love with her. She invented the perfect guy every girl would kill to date, and every ex-boyfriend would hate to be compared with. But did she really just invent him? What if she really did kiss a frog and tamed a beast? And that her quest for revenge was really the beginning of her happily ever after. 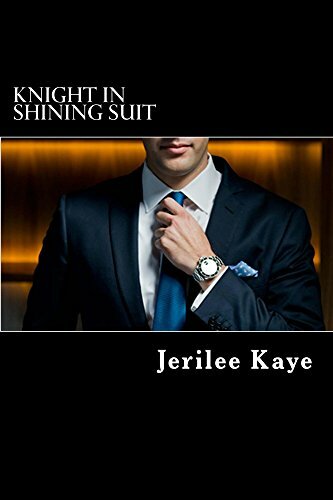 Knight in Shining Suit: Get Up. Get Even. Get a better man. Ms.Georgina (Grade: B+) I fell in love with the story but there were lots of grammar slips. Too WORDY.